The worlds of Vikings and Pirates are about to collide! There are few crews on the high seas more feared than the Hammers of Ragnarok. These sea-faring Vikings rejoice in the violence and bloodshed in battle. The only thing better than earning valuable booty from their raids would be to die in battle. 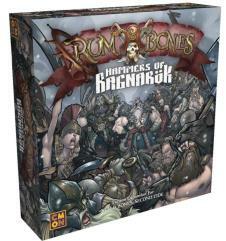 The Hammers of Ragnarok are a complete expansion faction for Rum and Bones Second Tide with their own Heroes, Tide cards, Deckhands, and ships. Any pirate out there will be quaking in their pantaloons when they spot the Hammers’ colors flying. **This is an expansion. 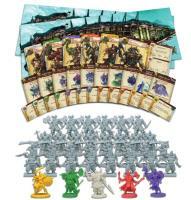 The Rum & Bones: Second Tide core box is required to play.